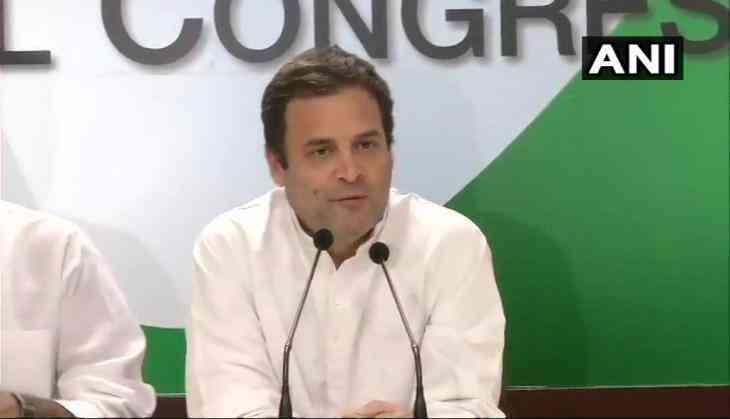 In the wake of the anti-Sterlite protests which took place on Tuesday in Tamil Nadu's Thoothukudi, Congress President Rahul Gandhi claimed that the protestors were killed for rejecting Rashtriya Swayamsevak Sangh's (RSS) ideologies. "Tamilians have been massacred because they refused to accept Rashtriya Swayamsevak Sangh (RSS's) ideologies. The RSS and Prime Minister Narendra Modi have been opposed by Tamil Nadu. Also, people of Tamil Nadu cannot be suppressed," he tweeted in Tamil. The Congress President also extended support to the people of Tamil Nadu. "Dear Tamil brothers and sisters, we are with you," he said. 11 people were killed and more than 65 injured in the protest against the construction of a new copper smelter by the Sterlite industries in Thoothukudi. The locals are up in arms against the construction of the copper plant, as they claim the plant would pollute groundwater in their area, thus causing serious environmental hazards.